As two women across time seek answers about their identities and heritage, can they overcome the threat of the mysterious curse that has them inextricably intertwined. Here's a link to an excerpt from Chapter One! Daphne du Maurier and Christy Award Winning author Jaime Jo Wright, pens romantic suspense stained with history’s secrets. Coffee drinker by day, and coffee drinker by night. 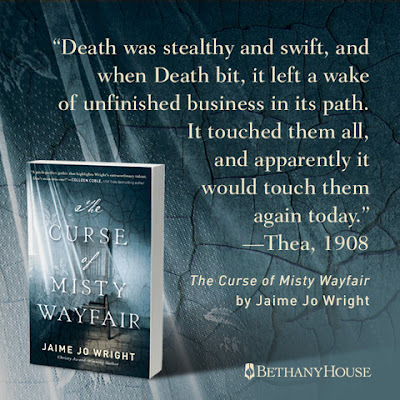 Bethany Publishing is providing a paperback of THE CURSE OF MISTY WAYFAIR. To be eligible, enter our rafflecopter below. This book should come with a warning label: Do Not Read At Night! I mean you are talking an age old curse of Misty Wayfair who is said to haunt the woods that surround an old asylum. Just reading about the legend had my skin crawling...GAH! But as with the other two novels Wright has written, there really is much more to it than meets the eye! Layers upon layers and threads upon threads twist and curl like a ghostly hand to keep you absolutely glued to the pages. And again, as the other two Wright novels, the lives of two women separated by a hundred years of history weave a tale of family secrets that would rather stay buried in the ground. They don't want to give up the ghost, in a manner of speaking! With her signature snappish prose and words that come alive, Wright had me digging deeper into two families who seemingly have no connection. As those threads began to knit together, more and more questions begged to be answered. How did Misty Wayfair connect two women? What do Thea and Heidi have in common? And how can I possibly write a review without giving anything away? Just know that I as I read this, I was both scared out of my mind and yet was too morbidly fascinated not to continue till the end. After all, there were answers I needed to know, almost as necessary as breathing! 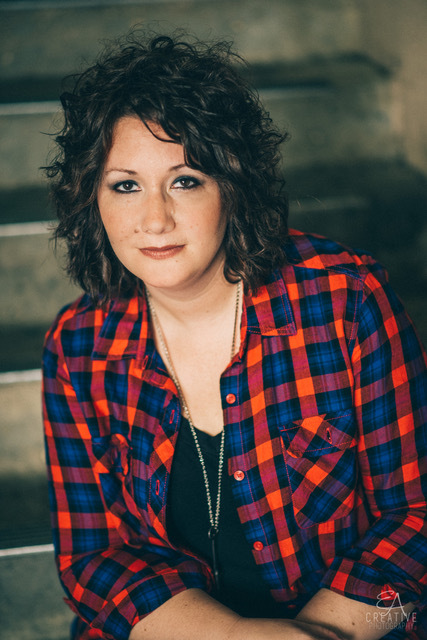 Really under it all is the lesson two women learn trying to find their identity and place in the world, but ultimately finding their Creator God had already carved out a place for them in Him. Compelling, beautifully haunting, poignant, engaging, and thrilling, this story will wrap itself around you capturing more than just your emotions. It'll remind you of who you are and what you were meant to be in Christ. "You are the reason the voices are never heard. . . . . .come . . . come quickly." Two women, separated by time and eternity, yet inexplicably drawn together by a postmortem photograph and a cryptic letter crafted by one whose mind has become crippled beyond recognition. Both are determined to find answers to the question that continually rages in their minds; "who am I"? Dorothea Reed, orphaned at a young age and now a postmortem photographer, is drawn to the small town of Pleasant Valley, Wisconsin to search for clues about her birth mother, never imagining the trail would lead to the front door of a local mental asylum whose residents simply live in order to die. And then there are the unexplained sightings of a local woman who has been dead for years, the cursed Misty Wayfair. One hundred years later, Heidi Lane returns to her home town of Pleasant Valley after being summoned by her aging mother. Heidi has a myriad of questions about her past that she's not sure her remaining parent can answer; for it appears that someone, or something, is determined to destroy Heidi's thin thread of equilibrium. And what about that old photograph; the one she happened upon in the town's antique store, the woman could be her twin. It's so rare to read a book with this many layers . . . . and yet every single one of them carries its own weight so beautifully . . . . while together they appear as a single thread. It's magnificent to behold. "Fix your eyes on the target and let the arrow fly. The rest will follow."